It’s more than a fun name. Hootsuite is a social media management tool that was launched as a Twitter dashboard (think Tweetdeck, but completely different) back in 2008 by Invoke Media and has grown to be so much more since then. It’s not just for Twitter! 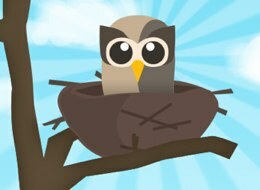 Hootsuite lets you manage all of your social media platforms, it isn’t just Twitter anymore. Hootsuite covers your Facebook, LinkedIn, Google+, Instagram, and your WordPress blogs (like this one!). Even better, Hootsuite lets you manage multiple accounts on the same platform – so having three Facebook pages on top of your personal profile is fine. Hootsuite is available on iOS and Android devices – but sadly not Windows devices – for those of you who love to work cross-platform. Obviously the apps can’t do everything the web client can, but they still have a lot of benefits. You can still track your shared content, schedule your social content, geo-tag your posts, translate content, and search for conversations that are relevant to your content – and all of this can be done across the same social platforms that you have access to on Hootsuite’s web client. You can manage what goes where and when! With the help of Hootsuite, those sometimes dauntingly complex publishing plans you have can be a breeze. You can push targeted content to specific users on just one or two platforms, instead of just blasting it out to the whole world. But you can also do just that, if you want. Hootsuite lets you cross-post content on however many different platforms you want! Just keep in mind that your Facebook content might get cut short when it hits Twitter’s 140-character limit. You can also reblog, retweet, like, and favorite content just like you would normally if you were sitting on Twitter or Facebook. There’s a built-in Klout score slider! Want to see the influence of the people you’re interacting with? No problem, just use the Klout filter in any tabs’ search icon and see who has higher scores than others. Don’t know what a Klout score is? That’s another reason you should sign up the Communication & New Media Department’s COMM 322 Social Media class. You’ll get to see your own Klout score, if you haven’t already. Build your team and stay connected all in one place! Hootsuite lets you create teams to help manage your different social platforms. After you build a team, you can give everyone different tasks to focus on. You can send certain Twitter mentions to different team members for them to respond to. Your team can message each other privately (making it easy to stay in contact if someone’s out of the office), and split up any work that needs to be done so people don’t end up working on the same thing by accident. Creating a team means that you don’t have to share your Twitter password with everyone helping you. Instead, you can just grant them access to it on Hootsuite (which you can revoke at anytime without needing to change your password). But, in order to create teams you need to have either Hootsuite Pro or Enterprise – neither of which are free. But once again, if you take COMM 322, you’ll get access to this function in class for free! 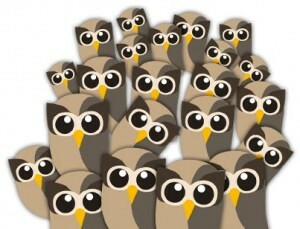 These are just a few awesome things about Hootsuite. It’s a great tool to know how to use if you want to do any work with social media. Not only will you learn how to use Hootsuite in COMM 322 Social Media, but you’ll also get access to Hootsuite University where you can get officially certified for Hootsuite (which will look great on that resume you’re building). So what do you think of Hootsuite? Have you used it before? Comment below or Tweet us at @ShepComm using #TechThursday and let us know! Note: #TechThursday is a new blog post series where department students will share their tips and tricks for using software and technology tools. No more searching through menus – this simple shortcut makes creating a new project from an existing file a breeze. All you need to do is highlight the section of audio you want to put into a new project and use control shift+alt+C, and the selected audio will automatically open up in another tab as a new project. It’s hard to remember every shortcut in a program. And, sometimes there aren’t even shortcuts for whatever you’re trying to do. Luckily for you, you can create your own shortcuts. Hidden away under the “Edit” tab in Audition, you’ll find the “Keyboard Shortcuts…” selection, where you’ll find a list of every function in the program (both ones with pre-existing shortcuts and ones without). Even better, you can access this menu screen at any time with the Alt+K command. What’s better than a shortcut to more shortcuts? This seems like an easy one, but I’ve met several people who never realized these shortcuts. 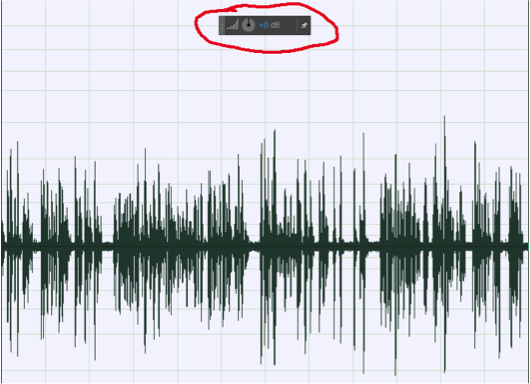 First, whenever you are zooming in on an audio file with your mouse wheel, remember that you can zoom to a specific area (instead of just zooming in on a random spot). Audition will automatically zoom to the area of the file that your mouse is hovering over. Once you’ve zoomed in on the file, you can also scroll left and right with the help of the shift key, just hold down the shift key and scroll up to move right and down to move left. This is especially helpful if you’re using Audition on a smaller screen. This is – in my opinion – is one of the easiest, most helpful shortcuts in Audition. In the top two corners of every Audition project, there are small grey & black boxes that you can drag to adjust the fade in and fade out at the beginning and ending of the audio. You can adjust the fades to your liking just by dragging them to different places. Doing an interview? Was your subject just a little too quiet? No problem. Adjusting your audio (or just a portion of it) on the fly is easy with this shortcut. Highlight the section of audio that you want to lower or raise the volume on, then click the square above it and drag up or down to your desired decibel level and Audition will automatically adjust that section. See, Audition isn’t so hard after all! In no time, you’ll be an audio expert. If you want to learn more about how to use Adobe Audition, check out COMM 329 Sound Design, COM 333 Music Video, COMM 350 Single-Camera Production, COMM 360 Studio Production, and COMM 420 Advanced Production in the Department of Communication here at Shepherd University. If you’ve got your own Adobe Audition tips you’d like to share, drop us a comment below or Tweet us at @ShepComm and we’ll get back to you!